LAS VEGAS, NEVADA CIRCA 2016: Sign on exterior of Gold and Silver Pawn shop in Las Vegas, Nevada. 4k00:18LAS VEGAS, NEVADA - CIRCA 2016: Gold and Silver Pawn shop establishing pan shot in Las Vegas, Nevada. 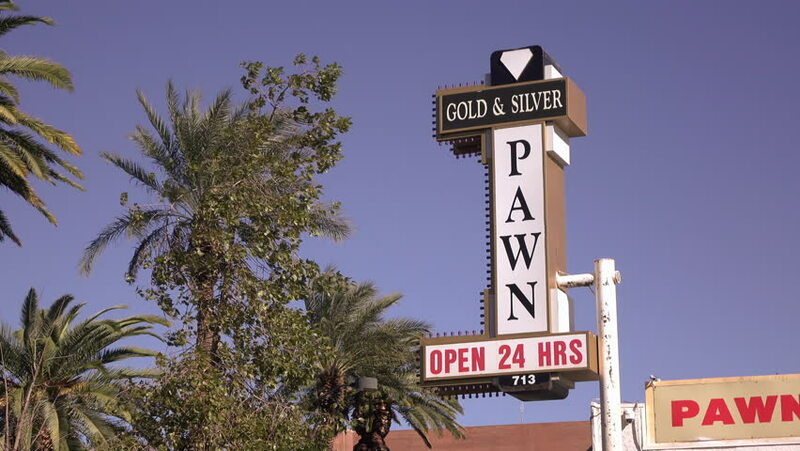 4k00:17LAS VEGAS, NEVADA - CIRCA 2016: Gold and Silver Pawn shop Exterior daytime establishing shot in Las Vegas, Nevada. 4k00:16LAS VEGAS, NEVADA CIRCA 2016: Gold and Silver Pawn shop wide angle establishing shot in Las Vegas, Nevada. 4k00:13LAS VEGAS, NEVADA - CIRCA 2016: Gold and Silver exterior sign tilt shot in Las Vegas, Nevada. hd00:08Old gas station in Bluff, Utah, United States. 4k00:09LOS ANGELES, Jan 13th, 2018: Low angle close up of the Dayton Way/ Via Rodeo street sign, located on world famous Rodeo Drive, against a blue sky and palm tree.